Thompson Suburban Dental Laboratory offers IPS e.max crowns and veneers. 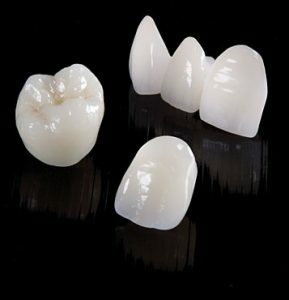 IPS e.max is a unique lithium disilicate ceramic restorative material that delivers both superior strength and lifelike esthetics. It can be stained or layered to achieve virtually perfect contacts and occlusion. This lithium disilicate ceramic can be milled from pre-manufactured blocks or it can be pressed from a pre-manufactured ingot. IPS e.max offers beautiful esthetics and an unmatched strength of 400 MPa, making it ideal for crowns anywhere in the mouth. 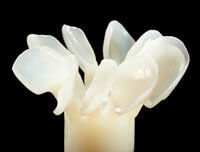 Contact us if you want to learn more about IPS e.max or check whether it’s the right material for your patient.